Linda believes that emotions get trapped in the body, like fear, anxiety and unprocessed life experiences. Holding these experiences in our bodies are the source of everything that ails us. With every experience of release through energy healing, we create openings in our bodies that lighten us up and raise our vibration. From this place, we can manifest from our hearts - Create abundance, find inner peace and connect deeper in our relationships. We are all sacred, spiritual beings and here for a much larger reason, serving a much higher, divine purpose. Linda accepts payments in one of four ways: payment at the time of online booking, cash, email transfer via linda@sparkthenignite.com and credit card payments at the time of treatment. The 30 minute sessions are designed for people who would like to have regular monthly appointments. Angle card readings are not part of this appointment. To book your treatment online – select your date on the calendar below and then hit the search button. All the available appointment times will then be displayed. Click on the time you would like and make the payment to finalize your booking. During a session, you will lie fully clothed on a massage table. Hands are placed lightly on or over your body, starting at the head (crown chakra) and ending at the feet (root). The healee simply rests. Before the treatment begins, the healee will be asked to respond yes or no to being open to receiving Reiki energy for healing. During the session, the healee may experience different sensations, such as feeling extreme heat, tingling and shifts in energy. 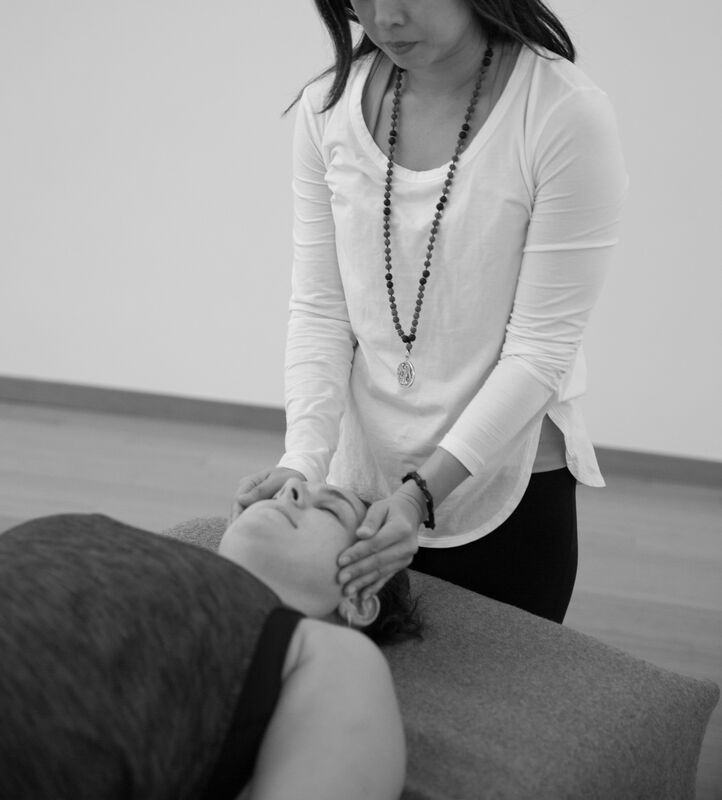 Overall, a treatment provides a space to release, experience a deeply relaxed state, promote a sense of well-being and undergo a total body healing. After a treatment, it is recommended that you create some space for relaxation and reflection as a cleansing process is underway. You may experience irritability, moodiness, and/or vivid dreaming within the next few days or weeks as the body is releasing energies that no longer serve you. There is a lot of information that is presented to you during your initial Reiki session with Linda and space should be created to process this information and practice the healing tools that are given to you. The treatment will raise your vibrational frequency and clear blockages that disrupt the energy flow. Depending on the weight of the issues you are dealing with, stress level in your daily life, illnesses and unexpected life incidences, this frequency may dim quicker for some than others. Healing takes place layer-by-layer. As you continue to heal through additional Reiki treatments or other modalities, i.e. yoga, meditation, etc., you will continue to shift your energy and amplify your vibrational frequency attracting differing things to you and creating new possibilities into your life. Book online as you require. One-hour sessions with angel card readings are recommended during your first visit with Linda. And may also be repeated during Seasonal and Annual appointments. 30-minute maintenance sessions are recommended in between. Chakra readings with pendulum are provided for all sessions with recommendations to take home.